Ponder your goals for the 2017 canning season and enter to win new storage and canning jars from Ball Canning! 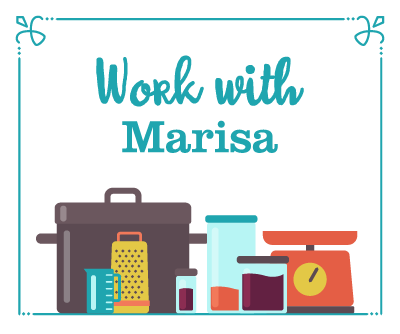 Already today, we’ve talked a little bit about some of the canning and preserving we’re going to be doing together in the coming year (have you signed up for the Food in Jars Mastery Challenge yet?). Now, let’s talk in more detail about how we’re going to do it. It takes thought and preparation to expand skill set and I find that there’s no better time to do a little planning for learning and growth than at the very start of fresh new year. Whether you’re a goal setter or a resolution maker, now is the time to start lining up our intentions. Here are a few questions to start with as you dream up what you want to get out of your food preservation practice this year and how you want to shape the Mastery Challenge to work for you. How does my family currently eat? Try starting with some small changes that will allow you to incorporate more homemade foods into your current habits and patterns. What’s something I buy regularly from the store? If you find yourself picking up barbecue sauce or strawberry jam, consider setting a goal of making enough to get you through the year! Is there something that scares me about food preservation? What can you do to release those fears? What brings me joy in the kitchen? Not every goal has to be about pushing forward. Sometimes it’s enough to make time and space simply to do the things you already love. How can I make my food preservation habit flow better? Sometimes all you need to do it put your gear in a more accessible part of your kitchen. Or perhaps you need to keep an eye out for a different canning pot. Knowing what you need is so much of the battle! What do I want my kitchen life to look like this time next year? Sometimes the best way to set a goal is to look at where you want to end up and then plot a course that gets you there (or at least, that gets you closer). Now, most food preservation goals will, at some point, arrive at the topic of jars. 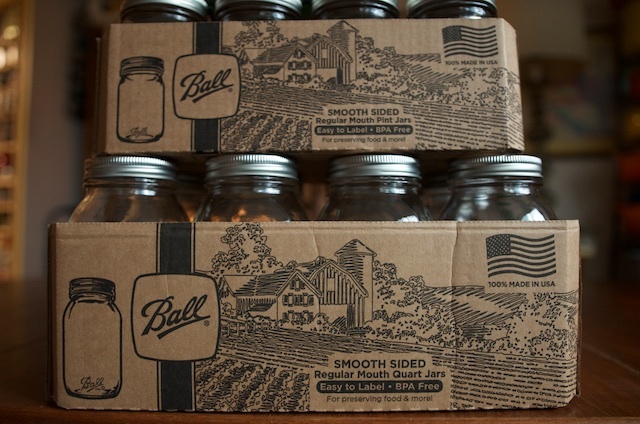 And it just happens that our friends at Ball Canning have recently added some new jars to their product line. In the spirit of helping a few Food in Jars readers further their food preservation goals, I’m giving away some of these new, lovely jars. Three winners will each get a set of the new Ball Mini Storage Jars (these sweet little jars hold 4 ounces and sport 1-piece lids), a case of the new Ball Smooth-Sided Regular Mouth Pints, and a case of the Ball Smooth-Sided Regular Mouth Quarts. Use the widget to enter! I love those mini jars! I cannot wait to try some more curds this year! I did very little (if any?) canning last year, so my goal is pretty basic – get back in the game! Goal: Can enough tomatoes to last me a whole year! I have not canned enough the past 2 seasons – I need to up my game! My goal is to finally, finally make sauerkraut. And kimchi. I make too many sweet things and not enough savory stuff…. I would Love to try to can so apple pie filling! Learn to pressure can this year! A sale on organic oranges had me thinking I need to try marmalade, but with your new challenge it makes even more sense! I’ve canned a lot, but this will be a first run for me. My other goal is to keep filling 500-600 jars each year to feel this growing family! My goal this year is to grow enough of the things I like to can so that I don’t have to buy any (tomatoes, cucumbers, green beans, beets)! This year I would love to get at least 10 jars of blueberry jam made and stored. Thanks! I want to be more informed about recipes using my preserved food. I really like your idea of making your kitchen more favorable for canning. I need to rearrange my canning supplies and get rid of the things that I have that I don’t use because they just don’t work for me. Pizza sauce. I’m buying a lot of pizza sauce. Mostly because it comes in big jars and I can’t use it fast enough before it goes bad. I have to transfer it to little plastic Gladware containers and put it in the freezer. Then thaw one out before I can use it. It’s irritating. If I made my own sauce, I could can it in smaller jars. Can I “recan” the sauce I buy in the store into smaller jars? My goal is to use up all those blackberries ! To improve upon my jam making – it came out too congealed?? thank you! I have no idea why my post isn’t posting like it always does. The name is wrong, maybe? BTW I just went to the site and bought a dozen. They’ll be better than the Gladware because I can at least wash them in the dishwasher and reuse them. Too bad you can’t can with them. My goal this year is to get back in the habit of canning since I took a year off. I would also like to try to figure out why my sour/dill pickles always taste way too salty, even though I am following the recipes in the ball blue book. Lovely! And I must get some of the purple before they are gone!!! I want to can more tomatoes and more salsa this year. Both are things we use regularly and I’d like to be able to rely on my own pantry for them! I want to learn how to make grapefruit marmalade. Yum. I’d like to get more confident with my canning. It takes me longer than it should because I haven’t yet found my groove which I believe is in part because of the confidence issues. I use Ball Canning Jars to make tea-infused gins! Great gifts for the holidays – especially in earl grey. I also recently did some research in refrigerator pickling and may consider that next time cucumbers are on sale! I’m going to try and expand my canning into pressure canning. It scares me, but I know I can do it! I’m going to try more lacto-fermenting. Maybe sauerkraut, maybe something else. I cannot resist the mini jars! More jam! And something cute in those mini jars. Love those mini jars! I plan to work toward incorporating more fermented foods into my family’s routine. This year I would like to try making more different kinds of jelly or jam. I plan to double up on my apricot jam production and try using it in savory dishes. My sister told me she uses hers in a vinegrette. My goal is to can more things that we actually use, since I sort of stoped eating jam. Pickles are on my list! 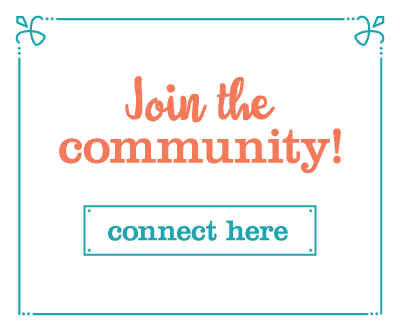 My goal is to try something new for me – maybe fermenting? Two goals come to mind right away. Amending the garden for better yields and canning more meat and soups. Oh, and diving into your newest book I received for Christmas! I love the new jars and can’t wait to see the new one piece lids. I’m looking forward to learning how to can I’ve been nervous about trying it out alone but I enjoyed making jam freezer that I just have to dive in. I absolutely love the idea of the mastery challenge. I hope to participate each month. Specifically I would like to make/preserve barbecue sauce, one type of jam and salsa. To can more during the winter months, not just in the summer. I’m eager to be bolder combining flavors in canning projects in 2017, like blended berry jams. Also, I’m trying my hand at canning bigleaf maple syrup for the first time this winter. Exciting! I hope to can more, and can a greater variety than I have in the past. I want to can more of our food this year. I want to learn about pressure canning. I don’t know if I have the time to do it myself, or the storage space for yet another kitchen item, but I do want to learn! I want to can soup and stew. I made way too much jam last year. But I can’t help myself! I love to make homemade jam. It makes me happy! My goal is to make enough jelly/jam/preserves to share with my neighbors at the holidays and to can at least 12 pints of tomato sauce. My last batch of jam failed, and I haven’t tried again since, but I am resolving to start again in the new year! 1) Give fermentation a try! 2) Find creative ways to use what I’ve preserved. I didn’t make an canning goals for 2017. 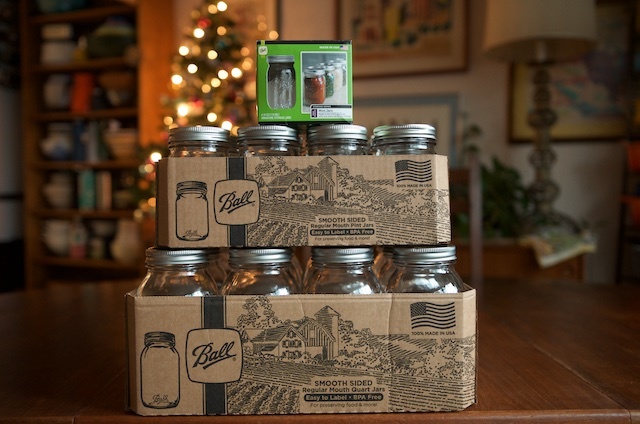 But that being said, I didn’t get even one canning item on my Xmas list…so maybe that will be my goal. As making Blueberry BBQ sauce with a strainer was a huge pain in the arse and a food mill would have been so much more helpful! I want to make dilly beans again and being a novice forager, I’d like to try preserving some wild foods. I’m looking forward to the mastery challenge. It sounds like a lot of canning fun. A friend sent me your site, because I got 2 canning books for Christmas and spend my fall canning salsa, marinara, and jellies (mostly from my garden). I want to expand into fermentation and more experimentation with dehydration! I’m going to grow plum tomatoes in order to make and can sauce. I’m excited to try making & canning sauerkraut for the first time this year! I made kimchi and fermented dill pickles for the first time last year, but just one batch of each. My goal for 2017 is to become more comfortable fermenting food and making many more batches! My goal is to make more dilly beans and pickles. My family inhaled the garlic dill refrigerator pickles too fast. Oh, my daughter wants to make sure I leave at least one jar of each recipe in the “keep” stash. We gave away jars for Christmas. Jam, jam and more jam!! It will be difficult, if not impossible, to accept your challenge this year. But it’s such a terrific idea! My plan for this year is to get organized. 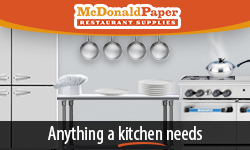 Not just canning equipment and gear, but everything else. Will be grieving the loss of a spouse for a while, so getting by is good enough for now. If I can get the canning stuff organized, sorted, and a better home found for it all, will do as much of your challenge as possible. 2017 canning goals are lots more pickles canned than in 2016! Of course I want to can everything possible! Planning to sow seeds for things that I love and a few newbies to try for fun. My canning adventures will totally depend on my harvest but I am hoping to have a fully stocked pantry in 2017. I’d like to focus on canning stuff that we pick/gather/harvest ourselves. Happy New Year! 2017 is the year that I want to learn more about canning and making pickled everything !! 2017 Goal : Restock our basics such as green beans, corn salsa, vegetable soup base and tomatoes. And find a creative way to use up our surplus of jams and jellies. I want to learn how to make marmalade and try more pickled vegetables. I have only waterbathed thus far but hope to use the PC my aunt gave me soon! I would like to get more control over WHAT I can instead of just making every recipe I come across. I would also really like to improve on my dill pickle recipe. My goal is to eat all the 2015 season goods to make room! After not having a garden the past 2 years, because of my husbands surgery and health issues, I would like to plant a garden this year, and hopefully be able to can the harvest from it to provide for my family of 5 through the winter. Thank you for the chance! My goal is smaller batches! Sometimes it is possible to have too much of a good thing…. I Love To Can! Would love to fill these jars!! My goal is to can something this year, which means I need to have more time. But I would like to make some salsa. More tomato jam! I’m going through it too fast! Yum! I want to can tomatoes this year and make jellies and preserves. I want to try more fermentation. I made kimchi and next is sauerkraut. I always make tons of jam, jellies and pickles so I’m looking for more to try there also. I need to finish my kitchen rearranging so I have room to can. Putting up metal shelving and hooks and stuff. Id love to learn how to can. My goal for this year is to grow more in my own garden for putting up this fall- tomatoes for sauce & salsa, cucumbers for pickles, peppers, and hopefully my raspberry patch will provide a bumper crop this year. Thanks for the great giveaway chance! I definately want to do more than last year. A hand burn stopped me early this last year. I want to get enough zucchini pickles done to last for me and my extended family and some friends. Everyone seems to love them. Many pepper jellys also and hot sauces. I also want to try making more syrups, as I love making special drinks and it would be so fun to have a selection of syrups. The mastery challenge sounds fun! I want to try pressure canning. I bought an all American canner TWO YEARS AGO and I’ve never used it because I’m afraid/ intimidated. I hope to learn to can new things this year. I’m thinking about learning to pickle. Mine is to make enough jelly and jam to last for the whole year! I’m excited for your monthly canning challenge! I’ve been wanting to improve my canning technique so this is perfect. I have been having lots of request on the canned Candied Jalapenos (cowboy candy) so will be planting more pepper plants and canning more of the candied jalapenos. Of course can’t go without not canning more jellies and jam. I want to use my pressure canner this year…broths, meats, etc. I have one, but it scares me a little. I just need to do it once to get over the fear! I have that same fear Grace! Lol. Last year I made a lot of our trusted favorites (mostly jams and pickles). This year I want to try new recipes that challenge our taste buds! Thanks for getting me excited so early in the year! I’d like to eat healthier and learn more about fermented foods. I Need to can more peaches this year! Bread and butter pickles! I never make enough for eating and giving away. My husband & I have been talking about our garden this year. I know I need to plant more tomatoes. Almost out of pasta sauce! I think this Mastery Challenge is just what I need to get me to expand my larder of home preserved foods. Plus my son will stop asking when I am going to make “those pickles” everytime he sees the Zatarain’s Shrimp & Crap boil concentrate. Now I just need to get better at coordinating preserving my bounty as it is coming ripe in the garden – or am I the only one that has that problem?! Make freezer jam. We use a ton of jam in our house, and freezer. Jam is so much better. My goal is to just start. Been reading about it and learning but not actually doing. More reasonable expectations about what will get used. Sometimes it’s more fun to preserve than to remember to eat the preserves. I am pretty new to canning so I just plan to learn and can more this year. Learning an awesome recipe for pickling anything and the veggie still having a bite after processing. I make fridge pickles mostly and by January all of them are gone. More spaghetti, tomato, and marinara sauces. We use a lot of that kind of stuff. Oh, and applesauce too! More tomato sauce and more meat. I just canned chili for the first time and it’s wonderful! I love to can and I love seeing all the goodies in my pantry. My grown kids know that they can raid the pantry so goodies anytime they want something from home. I use lots of storebought canned tomatoes. I should make my own. But I’ve been really disappointed with the taste of the tomatoes I found in the local farmers market. And I want to ferment more. I made the fermented hot sauce at the absolute end of the pepper season, and it is fantastic! I try to make something new each year; last year it was a low-sugar recipe for blueberry-rhubarb jam. My goal is to not can any more jam so we can eat up what we have ?. I do also hope to try a few new things! I’ve taken a break from canning but plan to get back on track in 2017. (1) My goal is to plan my garden based on recipes that I want to try, as well as to aim to grow more foods that I can actually preserve, and to grow extra to give some away. (2) I plan to freeze more cucumbers than pickle them and/or find other ways to preserve cucumbers. (3) I need to find green bean recipes so that I actually enjoy eating all the green beans that I’ve frozen. (4) I want to grow more herbs to freeze and dehydrate to make my own spice blends. Can I even grow cumin to grind seeds? I sure use a lot of it. (5) I guess I should overcome my fear of the pressure canner. (6) I want to determine ahead of time how I can store squash, potatoes (which I need to try to grow) where I can easily access these things. (7) I need to not can more things than we can eat – or develop a daily taste for pickles. I need to stop saving my “favorite” things just because I don’t want to use them up. (8) I’m sure there are more things to list, but won’t take up your space! I love the new small jars. They would be great for the small amount of jelly you might have from making a recipe. The smooth sided jaars are neat too. Thank you for all that you do. PS I did finally get my lids that I won a while ago. My goal for 2017 is to get over my fear of canning so I’m able to actually can some of the produce from our garden. This year my goal is to preserve something besides fruit – So I will be on the lookout for a great veggie canning recipe and some farm grown veggies to make it happen. Small jars are wonderful for jams and jellies….regular or smooth. Already planning my 2017 garden and what food to buy at the Farmers Market. Happy New Year. I can so I can give family & friends Christmas gifts. I make gift bags of pickles, relish & jams to give away. My hairdresser & nail tech receive small jars of my goodies as tips for services rendered. Once I gave them a monetary tip & they both were offended. Now it’s always a jar of jam or jelly. I make a fair amount of jams. My goal for next year is to use more low sugar recipes. Love the smooth sided jars! These smallerj jars seem like a great option for jams, sauces, etc. I can over 200 jars ( quarts, pints, jelly jars) every year and these smooth sided jars look like a nice variety. Happy New Year all. My goal is to do a better job preserving my garden this year! I wasn’t even able to make jam last year. I did have a newborn so valid excuse… But I missed the feeling one gets from preserving. I need to make more jams & jellies, as PBJ on whole wheat bread is my go-to breakfast 5 days a week! Looking forward to more fun in the kitchen. Thanks for your guidance, Marisa!! Love the smooth sided jars. My canning goal this year is to finally pressure can beans! I would like to try a new refrigerator pickled veggie recipe. Goal: To organize my canning room! Woohoooooo! My 2017 goal is to can enough marinara cause and homemade tomato paste to get me through until next year. That and not to purchase any more jars… I have a boatload of jars! Since I have only been canning for 5 months, my main goal is to learn how to get healthy and affordable food stored for my family. I would love to be able to can, or otherwise preserve, enough food to get us through a whole year! Just found this blog. Thank you!!! Oh I like that you can put a label on these jars. I need to get back into my pickling! I took a year off when I had my baby. Can more dilly beans and all kinds of pickles…I didnt have enough to share this year and everyone loved them!!! This year make ketchup. I’d like to get over being scared of the foods I can! my goals are to use up older preserves to make room for new ones, and to make more ketchup. Learning more canning besides jams & jellies. I want to learn more about food in jars. This is wonderful and I’ve recovered from last canning season just in time to start planning for the next one! I need to can more dill pickles this year. We have already run out. ? Canning goals include making time to can tomatoes (always right at back to school/work time) and working on our favorite pickle recipe…a little too salty this year! I’m looking forward to making a LOT of jam this year! Pickling veggies I have under control, now it’s on to learning about fermenting! Continue canning our organic garden bonanza! Love the smooth side jars…easier to label. These are great for displaying food for photo shoots! It’s my goal to have my family eating a completely whole food diet. I’m working towards canning 100% of our canned staples rather than buying them at the grocery store. I would love to have a better tomato crop this year!!!! Didn’t get enough salsa or tomato sauce put up this year. I hope to not let things rot on my watch…. I hope to get back into canning more of my garden’s vegetables this year. I hope to have a bigger garden, so o have to buy less produce to can. My 2017 canning goal is to not go too crazy! I find all these beautiful recipes and feel like I absolutely HAVE to do them all. My aim is to pick a few recipes, do them really well, and enjoy the fruits of my labor! For 2017 I have to put to use the beautiful Mauviel 5 quart copper preserving pan I purchased online from France. It is such a better size for small batches of Jam using Marisa’s wonderful recipes than the very expensive 10 quart that is generally sold in the USA. These jars are just the thing to get me started. I want to use my 4th burner pot more this year – more small batches! I hope for peace and safety in 2017! My goal is to can goods with my Mother in Law 🙂 Thank you! I am so excited to start off this challenge with marmalade. It’s always been on my list! I want to make more dikon pickles. And, since I have figured out how to make jam in my crockpot, Make more small batches of jam. My hope is to make many more preserves and USE THEM! 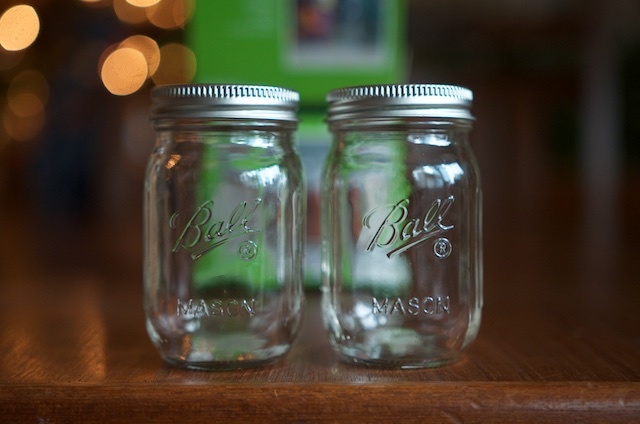 I love canning and these jars would come in handy. Would love to can more tomatoes, cucumbers, salsa, jam, rhubarb, strawberries, blueberries, cherries. Homemade bread and canning tomatoes! To be more practical about what I can. To can what we really use. 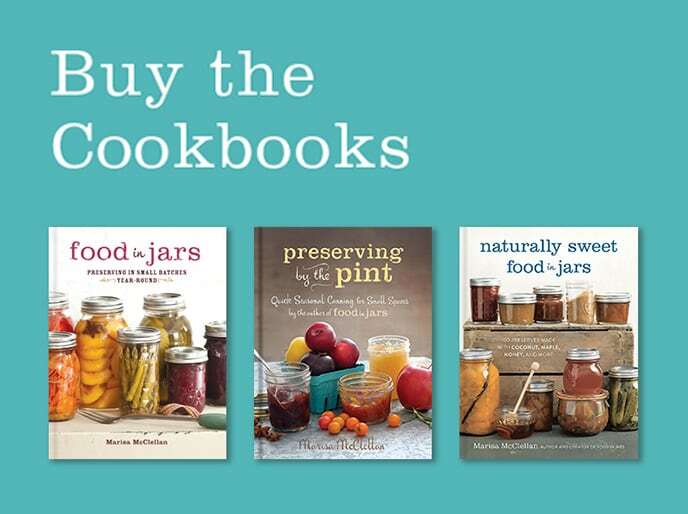 I received a couple of new canning books as a holiday gift, so my goal is to choose several recipes from each book and make a batch of something I’ve not made before. Not sure WHAT I’ll make, but there’s still time to narrow it down. My goal is to be more organized and preserve as much as I can from our garden. Also to learn more about fermenting. I have made 3 jars of sauerkraut. Those little jars are too fun! My hope is that I will learn more ways to preserve food to feed my family better. I’d like to be more aware of seasonal, local produce and be more active with preserving it. I’ve also promised myself to make better use of what comes out of my own garden. I’ve tried just about every preserving method out there, but I should utilize them more often. My resolution is to be more organized in my growing and canning. I would like to do more canning this year of tomatoes. My last two years haven’t been successful. my resokuruin is to preseerve more of what I grow and to get more variety through trades with friends. I would really like to do more vegetables and new recipes. For instance, I’ve been eyeing a recipe for pecan pie filling. But then I’d have to make a pie. And eat it. And that’s where the trouble starts…. To learn how to can different sauces so my kids can eat healthier at college. Fermenting is on my list! I hope to do a little more with canning savory items this year! I actually would love to can some venison. I hope to preserve at least double what I did last year and have the majority come from my own garden. I’m still learning on this gardening stuff. Thanks for the encouragement. This will be fun!!! What beautiful jars! I’m planning on preserving smaller batches of m more food to have more variety! I’d like to do a better job of canning my garden produce. I ended up giving most of it away instead of preserving it last year. This year I need to add more green beans and tomato juice to the inventory. I am also looking for an additional canner to speed up my canning endeavors. One pressure canner takes a couple of days to prepare 18 lbs. of dry beans. I would like to participate in the monthly mastery class and learn some new techniques for food preservation! I joined the Mastery Challenge. I was gifted ~5 pounds of Meyer lemons the other day. 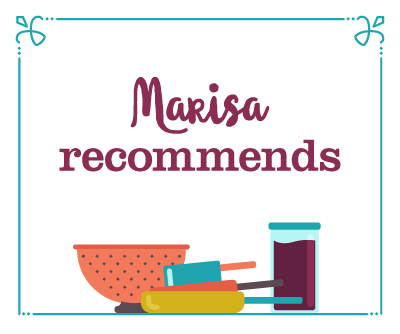 Yesterday I started Marissa’s Meyer Lemon Jam (without the lavender…not a lavender-in-my-food fan) and will finish it after work today. Excited to try this recipe! I’d like to get more experimental with my canning and food preservation this year. I’ve been at it for several years, and I think I’m confident enough to start playing around with my own recipes (within safety guidelines, of course) and choosing shortcuts (like not peeling my tomatoes!). I am looking forward to following the mastery challenge! I am working on balencing my love of preserving with my job, toddler, and a new baby this spring. Perhaos the mastery challenge will help! I’m trying to incorporate more home grown/raised foods and home preserved foods into my family’s daily diet. I think it’s important to have a close connection with one’s food and to teach my children where their food comes from, how much work and energy goes into raising it and to be grateful for it. My canning goal for 2017 is to cut back a little. I don’t need to can everything and overwhelm myself with projects or overwhelm my storage space with productsome I don’t have room for. Enough to use, and enough to gift, with only a couple experiments this year! My goal for 2017 is to not overdo it with the canning, but rather to stay focused on what my family most likes to eat. My goal for 2017 is perfect jellies, jams and preserves. My goal for 2017 is to be less wasteful with my food. I really need to prep my vegetables as soon as I get them home so they’re ready to be used. My goal is to start making more savory canning projects! This year I plan to can up something delicious to give away at my wedding. 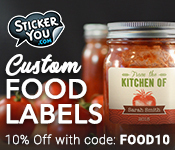 The smooth sided jars would be great to use because of the smooth surface for cool labels. My canning resolution is to not become overwhelmed again. I canned a lot last year and feel like I didn’t plan my time too well. I’m going to plan out my canning prep and recipes better this year so I don’t feel like I spend everyday canning. I hope to make more mustard though I find it difficult to find new recipes. I hope to find more ways of preserving fruit. I really want to can all my condiments this year so I can eliminate all the unpronounceable ingredients in so many items. My 2017 goal is to expand my canning knowledge beyond jams, jellies and dried beans. This year, I plan to can more fruit like peaches, pears and plums. I want to can items from my new garden! And, of course, keep up with all the jams and ferments I have too. I want to grow some things and can them. Very excited about this giveaway. 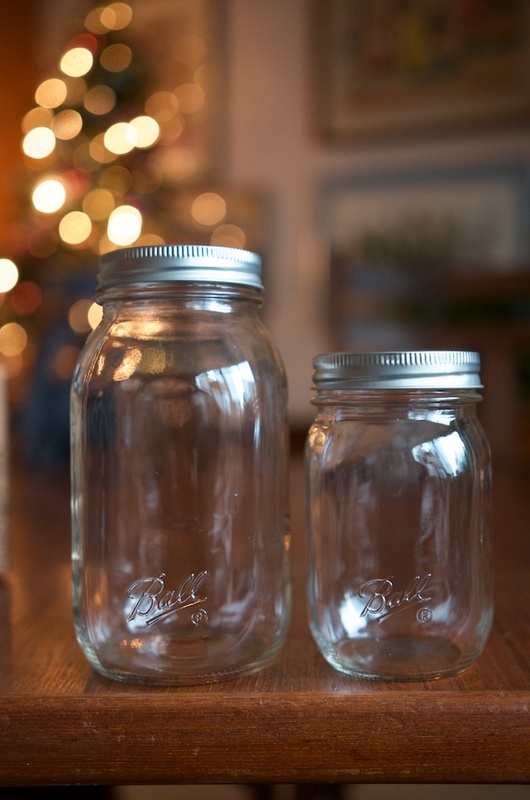 Love Ball canning jars. This year I plan to be more adventurous in using my pressure canner. I’ll can at least one thing I’ve never canned before. Goal is to use fruit at optimal stage, and not wait. One of my goals for 2017 is to can something I grew. That sounds lofty (to me) and if I was able to can something someone else grew, that would be great too. I have a lot of learning and experimenting to do. My goal is more canning entries at the fair than last year. My goal is to put up enough of my staples to get us through the whole year. No more buying pickle relish or applesauce! I need to pace myself better and only can what I know my family will eat in realistic quantities. I would also like to perfect canning peaches and apricots after 2 failures. I hope to understand fermenting vegetables better and do more of it. I also hope to have more juices and sauces in my pantry. Goal: Make enough salsa to get us through the year. I vastly underestimated last year and am down to the last few jars. My New Year’s resolution is to can as much as I can during the 2017 year for each season and break in my pressure canner. I store as many pantry items as I can in jars! To get more canned! And to try pressure canning! I really want to try pressure canning this year – I’ve been working up the courage for a few years now and that’s long enough! My goal is to finally perfect strawberry jam. Mine never has a bold color – it tastes good but doesn’t look the part. TO learn how to ferment! In 2017, I want to try canning something more than jams and jellies. As a new canner these would come in handy. I’m just ready to get back into canning this year, it’s been quite awhile! My hope is to have enough time and energy to try new recipes as well as my old favorites – last month I was given some blueberries and we made a blueberry maple pecan conserve that’s out of this world good. Maybe I need to try more small batches of things! I’m hoping to can more than just jam and applesauce in 2017. I want to make pickles and can more fresh produce so that we can eat more healthy all year long. And I love actually knowing what is in my food. To make more jam, and to try to see if I can sell my favorite special jam! My goal for the 20217 canning season is to be more intentional about PLANNING better – so I don’t have 12 jars of tomato jam that hang around past their expiration date. I need to think about what I am doing more, and not just go crazy because I see a good deal on a huge box of tomatoes. My goal is to try some new recipes as well as double the quarts of tomatoes we put up last year. Find enough gardening space so I can grow enough tomatoes to both eat fresh and can. In 2016, I was gifted a lot of fresh from the garden produce by friends and family. Often, I had to research for days what to do with such large quantities. In 2017, I resolve to expand my preserving skills so that I will be able to tackle a half bushel of just about anything that comes my way. I canned very many tomatoes this summer, but didn’t do many “fun” preserves (such as ones good for gifting). As citrus season starts up I want to make sure I get some “fun” preserves in. I’m excited that the mastery challenge will open my eyes to some other types of preserves! Do a better job giving away the surplus. I tend to hold on for Christmas and then there is too much and not enough people to give it to. Research the food safety of adding additional peppers to salsa recipes. One of my goals for 2017 canning is to try marmalade, so I’m super excited for this month’s challenge! We are hoping to start growing some of our own food. Canning would help us save money. Since I’m having a baby this summer, I just want to do a little bit of canning – let’s say 3 types of jam! I want to actually can some this year, that’s my goal! 2015 I did lots. 2016 I did none. Maybe I can do some this year. My intention is to try something new … as I always do. This year included a pickled garlic kolarabi relish from your site and a fabulous fail at strawberry jam that is the best strawberry sauce ever. To make more of things I use regularly (especially tomato based products), so I don’t rely on store bought items as much. I have always loved canning. I fed my children on home canned garden produce. I still can special items for my grandchildren. I can’t wait to learn more canning skills! Excited about this! Just bought That’s My Jam, and hoping to try out some of those recipes. My goal for the upcoming year is to add more new recipes to my tried and true favorites. We love having home canned goods to get us through the fall and winter. My goal is to become better with jams and preserves and also with pressure canning. I’ve joined the challenge and I am so looking forward to it! To make myself the biggest garden yet, and can even more things! Last year the deer ate my beans, so I’m determined to keep my beans too! I’d love to win! I can year round so I always need more jars! I would like to start including my neighbors to Can with me, I could encourage them with an invitation and this gift!!! My goal is to use up what I put up! I’m great at canning things… not so good at using them up. They taste delicious, don’t get me wrong, it is just I forget what is in our canning supply and don’t meal plan around it. My 2017 resolution is to use up what we have. Also, I want to make barbecue sauce this year. That’s one thing I haven’t tried yet! Side note – I’m really excited Ball is now making smooth-sided jars!! These will be great for gifts! What a way to start a new year – learning(or practicing to be better) new skills and getting cool jars to preserve our abundance! Thanks for providing! I got one of these smooth-sided jars from the Oregon Fermentation Festival a few months ago and really like it! I would like to use more home grown apples and raspberries in my canning. I’m hoping this is my year! Trying to make some healthy changes and this would help with more control of my food. What’s your hope, goal, intention, or resolution for the 2017 canning season? Mine is to can as much as I possibly can store. I get big monthly deliveries of produce and meat and we can’t eat all of it before it goes bad. I love making jams and jellies, but I don’t eat them very much. I’d like to start doing more savory canning- pickles, tomatoes, stuff like that. I’d like to be more adventurous with herbs and flowers in flavoring my jams and preserves. I’d like to try more fermentation recipes this year! I started making your sauerkraut last year and now it’s become a staple in our house, so it’s time to add a few more things to my fermentation list. I want to have more canned meat on hand for quick meals. My goal for 2017 is to try preserving more things I grow. More chutneys, marmalade, etc. I am hoping to have a good garden this year and have enough to preserve. I want to save money by growing and preserving the harvest. I am new to food preservation, but I can’t wait to get started! 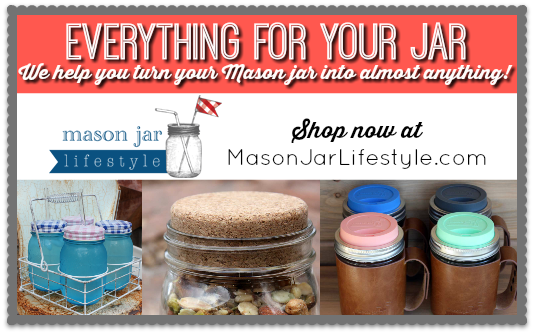 I’m a mason jar junkie; would love to win so I can add more to my out-of-control collection. I am learning about canning as a newbie + joining the zero waste and minimalist living. I am looking forward to completing the FIJ Mastery Challenge this year. I also want to preserve a food item each season in a method I have not used before. But most importantly, I want to grow and preserve food for my family. Lastly, I love jars!!! Can’t wait to learn some new preserving techniques,this year. Maybe use my pressure canner. We’re hoping to move in the spring, so I’m looking forward to learning what produce will be available at our “new local” for canning and preserving. It will be a whole new world of ingredients for me to learn about! Love the new spring colors! I’m hoping to start preserving more than jams and jellies. Hoping for some pickles and sauerkraut. Our goal is to grow more, so we can CAN more. Easy-peasy!